Are you getting the insights you need from your data, or are you just getting more and more data? At the HIMSS19 conference and exhibition (Feb 11-15 in Orlando, FL), we will introduce new capabilities of the IBM high-performance data and AI (HPDA) reference architecture for healthcare to help your organization make precision medicine a reality. Our HPDA architecture, based on IBM Storage and IBM Software-defined Storage solutions, software-defined infrastructure and IBM POWER9 servers, supports some of the largest leading precision medicine initiatives around the globe. 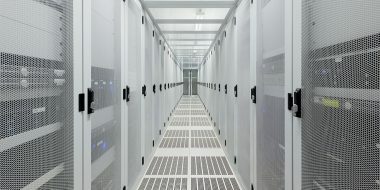 It also orchestrates Summit– the world’s most powerful supercomputer designed for data and AI. This architecture deployed for cloud-scale data management, multicloud workload orchestration and converged high-performance computing with deep learning can help a lab, department, hospital or a global healthcare institute become data-driven and deliver new records for speed and scale, cost efficiencies, collaboration and ease of use. If you are interested in scheduling a meeting with IBM HPDA experts at HIMSS19 and exploring how to enhance your precision medicine journey and improved time to insights, please email: yaelsh@il.ibm.com. Transforming Healthcare with High Performance Data and AI – Tuesday Feb 12, 07:15 – 08:15 AM EST, Room 202A. Join our panel discussion and discover how your organization can become data-driven. Make supporting the future of healthcare through data an essential part of your DNA with real-world use cases. 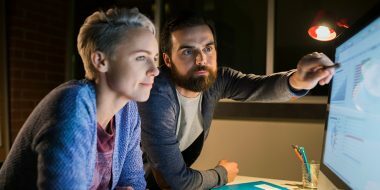 This session covers the critical role that a high-performance data and AI (HPDA) architecture plays in supporting your fast-growing data and compute demands to solve some of the biggest research and analytics challenges facing your organization. Learn how to accelerate precision medicine with flexible, scalable, secured and cost-effective high-performance systems optimized for data-intensive workloads and AI. Hear inspiring sessions led by customers and partners who will share best practices and lessons learned on how to design a data architecture that supports the acceleration of discoveries, the advance of personalized care and the optimization of healthcare services. To learn more, watch this video.